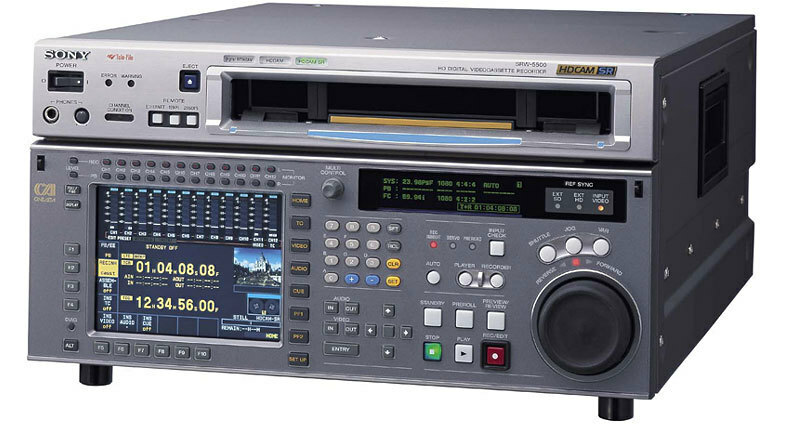 The SRW-5500 is switchable between Sony’s HDCAM and HDCAM SR record formats. Capable of recording 23.98/24/25/29.97/ 30PsF, 1080/50i/59.94/60i, and 720/59.94P, the SRW-5500 was created to meet all common worldwide delivery requirements. The HDCAM SR format is capable of recording the gamut of HD frame/line rates in both 4:4:4 and 4:2:2 formats using the highly efficient MPEG-4 Studio Profile compression scheme. The SRW-5500 records HDCAM SR format video at 440 Mbps, 10 bit Log or linear, at 2.7:1 compression ratio in 4:2:2, and 4.2:1 compression ratio for 4:4:4. 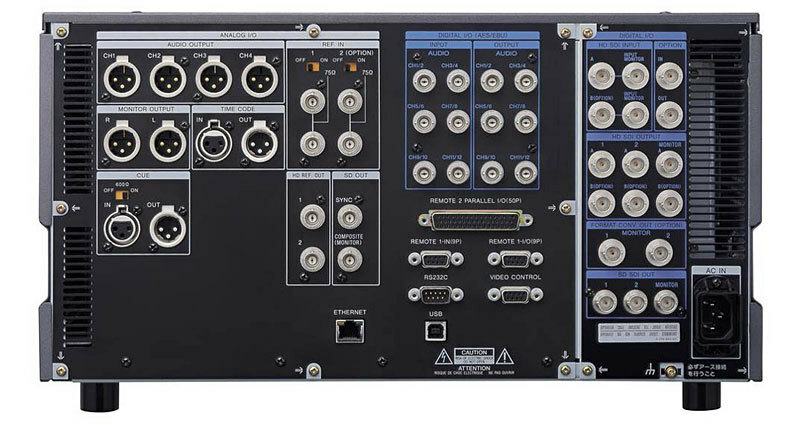 It can also record 12 channels of audio at 24-bit per sample resolution. HDCAM format recording offers the standard 4 channels of uncompressed audio. The HKSR-5001 Format Converter provides 3/2 pull down sequence for conversion of 23.98 or 24 fps recordings to 59.94 interlaced output. It also provides conversion of 1080 to 720/59.94P, and 720P to 1080. The HKSR-5003 interface board allows for full bandwidth 4:4:4 RGB recording, via dual link HD SDI. RGB 4:4:4 recordings can be internally converted to 4:2:2 output via the HKSR 5001 format conversion board in real-time during record or playback. Benefit: 4:4:4 recording is competitive with 2K data for high end archiving and digital intermediate workflows. Benefit : Provides maximum benefit and flexibility to broadcasters and archivist that require more than 8 channels of audio for broadcast and DVD mastering. Rent the Sony SRW-5500 HDCAM SR Deck from Deck Hand Camera Rentals today!